Indianapolis (March 28, 2019)—Tickets are now on sale for Fare, Flair and Fashion, The Julian Center’s first-ever runway event to benefit survivors of domestic and sexual abuse. 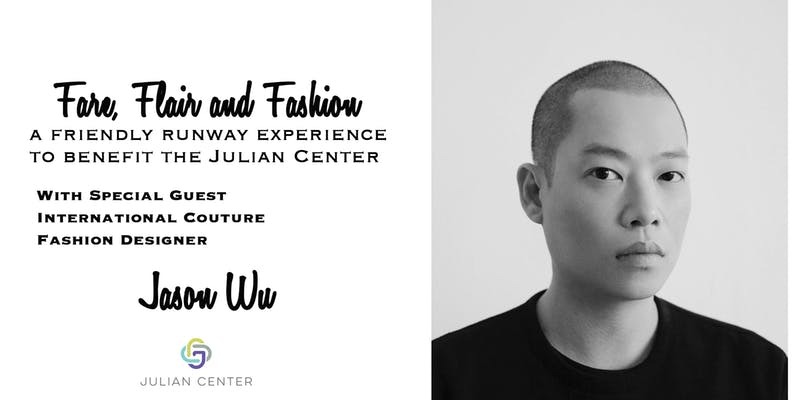 Taking place at the start of spring, the event features budding stylists in a runway show featuring special guest and international fashion designer, Jason Wu. The event takes place on Thursday, April 11 at the Hyatt Regency Indianapolis and begins at 11:30 a.m. Guests will enjoy lunch, wine, and live music before the runway show begins. Community leaders will take to the runway to show off unique outfits from clothing and accessories each has selected from The Julian Center’s thrift store, Thrifty Threads. 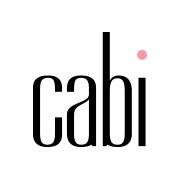 Judges representing Indianapolis’ fashion and business community will select the top three best dressed models before Wu selects the best dressed on the runway. WIBC radio personality and event emcee Terri Stacy will then host a live question/answer session with Wu. Since the debut of his first collection over ten years ago, Jason Wu has been committed to making beautifully crafted clothes with a modern sophistication to celebrate the female form. Through merging classic American sportswear elements with a refined couture sensibility, he has created an internationally recognized brand and dresses some of the most influential women in the world including Former First Lady Michelle Obama, Reese Witherspoon, Julianne Moore, Diane Kruger, Constance Wu and Christy Turlington. Fare, Flair and Fashion marks the first charity event Wu has attended in Indianapolis. Models include Deagria Cook, Pamela Greenwalt, Kelly Bodner, Barbara Body, Amy Chiappe Arnel, Stacie Danbury, Codi Banks, Erin Eberly, Nessa Hamman, and Monica Sallay. Judges for the event include Garry Navarre, Anne Hathaway, Alpha Blackburn, Dianne Bayley, Bif Ward, Susan Stubblefield, and Kyle Houston. Individual tickets, tables for ten, and corporate table sponsorships are all available. To learn more or inquire about a sponsorship, please visit the event Facebook page. For more about The Julian Center, please visit www.juliancenter.org. The Julian Center has been a leader in providing shelter and hope to victims of domestic and sexual violence and their families in Central Indiana since 1975. The Julian Center assists thousands of people annually who are dealing with domestic violence and sexual abuse and helps them discover a path to independence through crisis assistance, economic empowerment, transitional services, and long-term support. Thrifty Threads is part of The Julian Center, a not-for-profit that serves victims of domestic violence, supported 100% by donations. Thrifty Threads gratefully accept donations of gently used clothing for men, women, and children along with household goods including linens, furniture, books, toys, and small appliances. Clients shop at Thrifty Threads free of charge for items needed to recover and establish new beginnings. In some cases, that might be clothing, furniture, shoes, or toys for their children. Excess items are sold to the public where proceeds help underwrite victim programs and services. call The Julian Center Helpline at (317) 920-9320. Call 911 if in immediate danger.